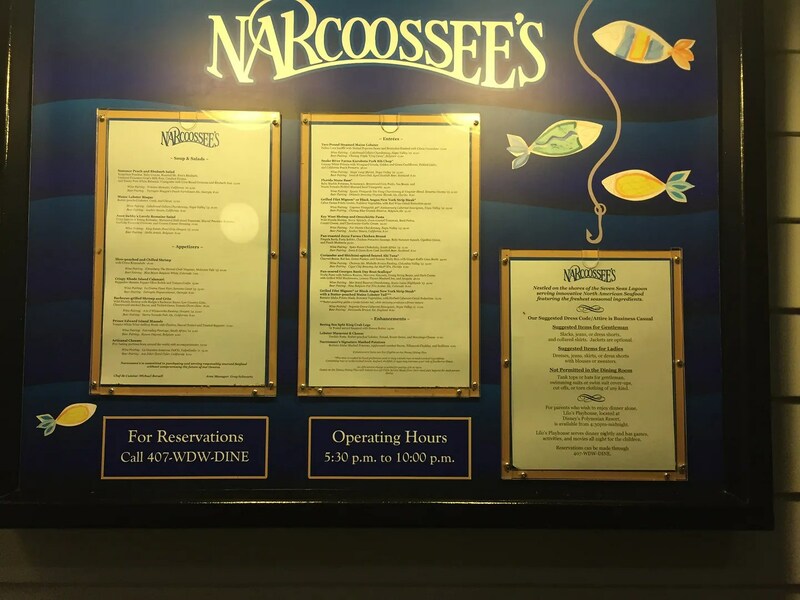 My nephew and his wife also dined at Narcoossee’s during their anniversary trip to Disney World in late July. 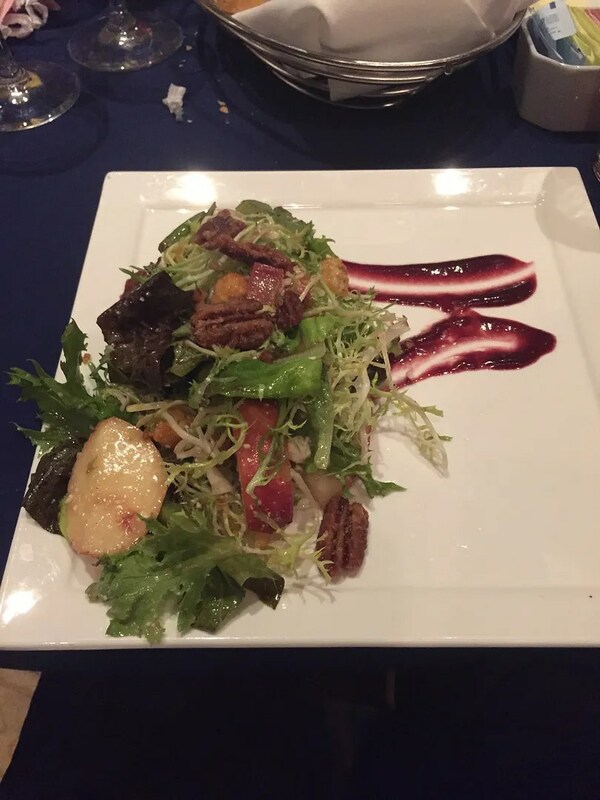 His Comments: The salad was amazing, one of the best salads I’ve ever had. 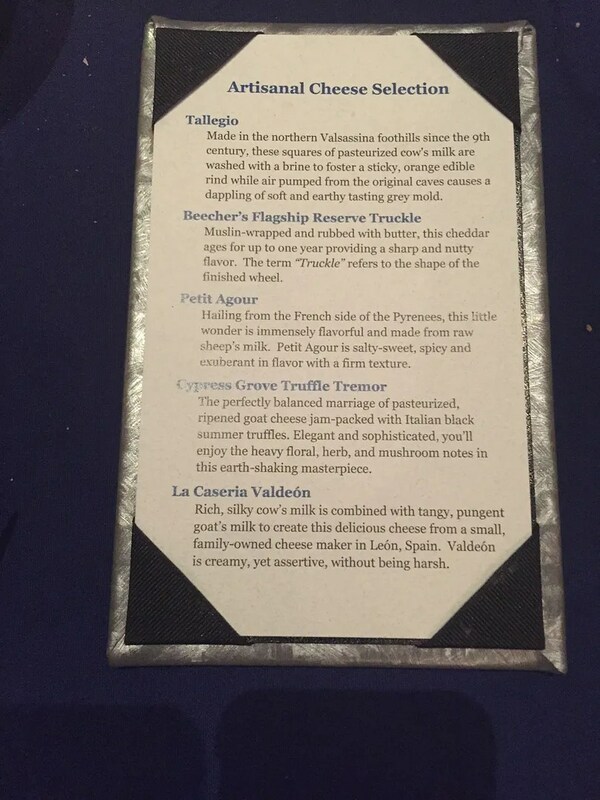 The peaches melted in my mouth, and the presentation was gorgeous. 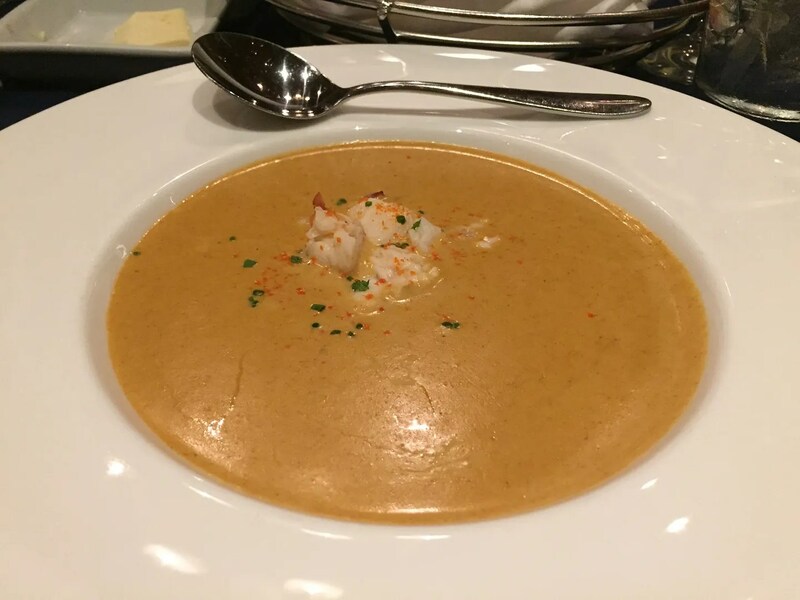 Her Comment: The Bisque was good, but not great. 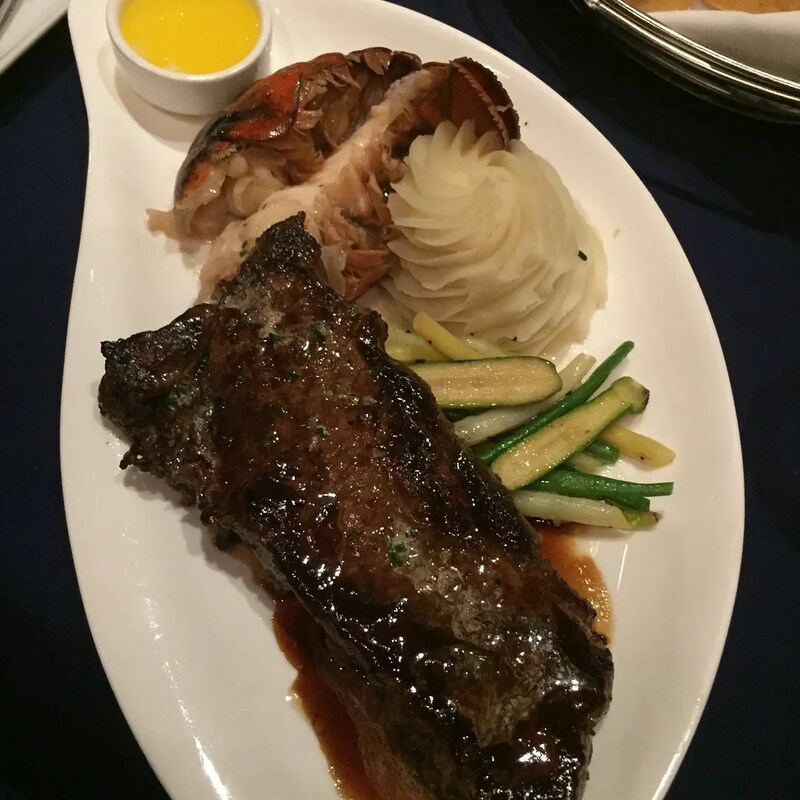 His Comments: The steak was good and the lobster was tender. 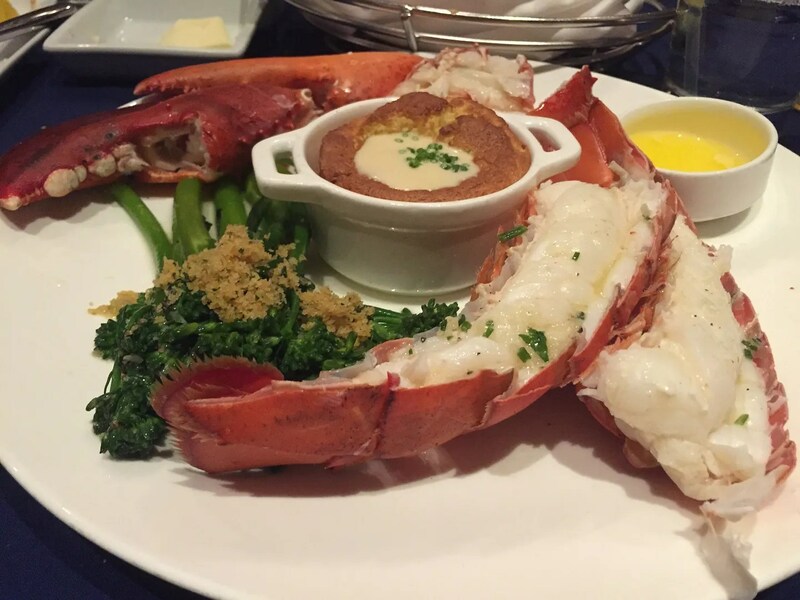 ALWAYS ask for the butter poached method when ordering lobster from Narcoossee’s. Her Comment: The lobster was a little overcooked for my taste. 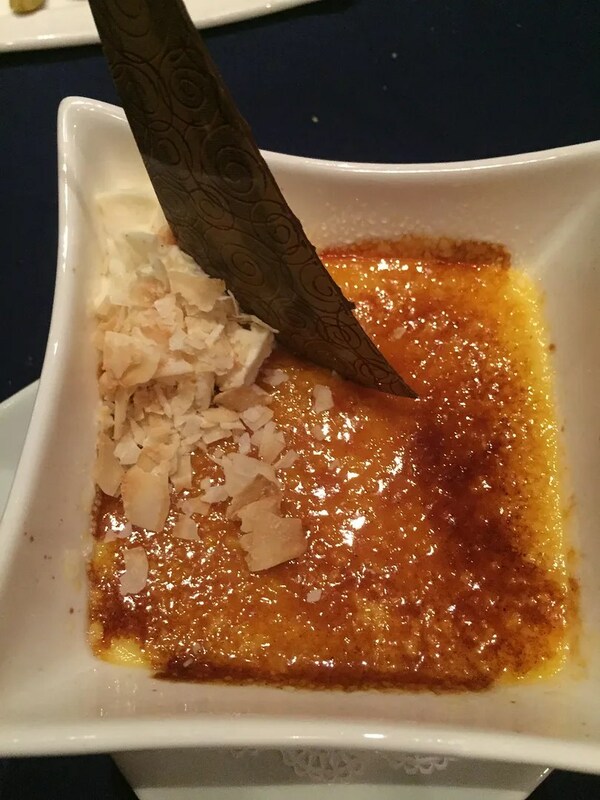 His Comment: The chocolate pudding in the crème brulee tasted like Jello Chocolate pudding. 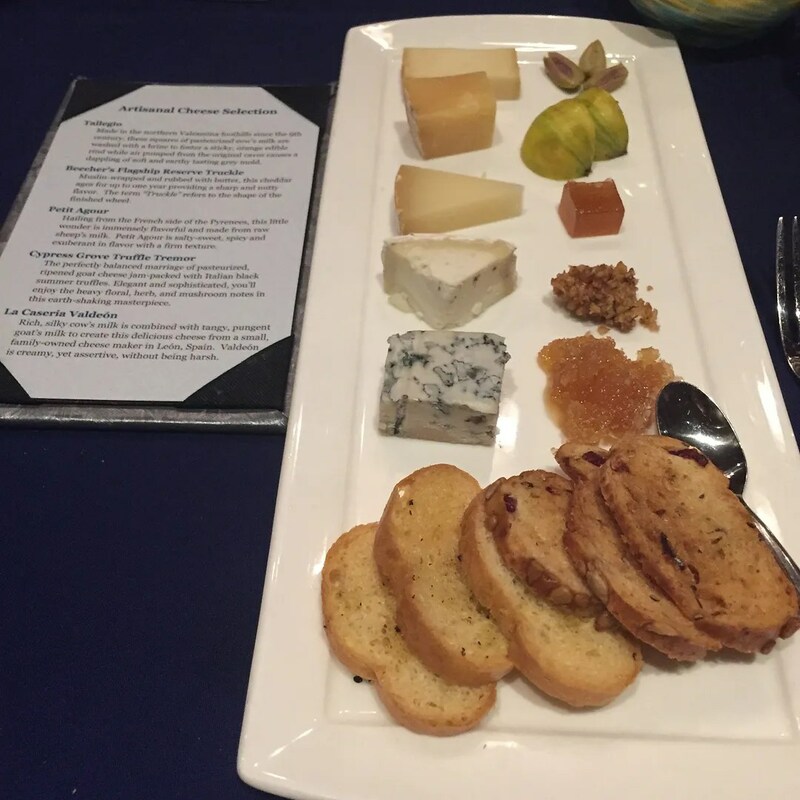 Her Comment: The cheeses were playful and yet very refined. And there you have it. While this was my nephew’s favorite meal of the trip (mostly due to the amazing salad), it was not his wife’s favorite. She preferred her lunch at Bongos and a dinner for which the review is still yet to come.